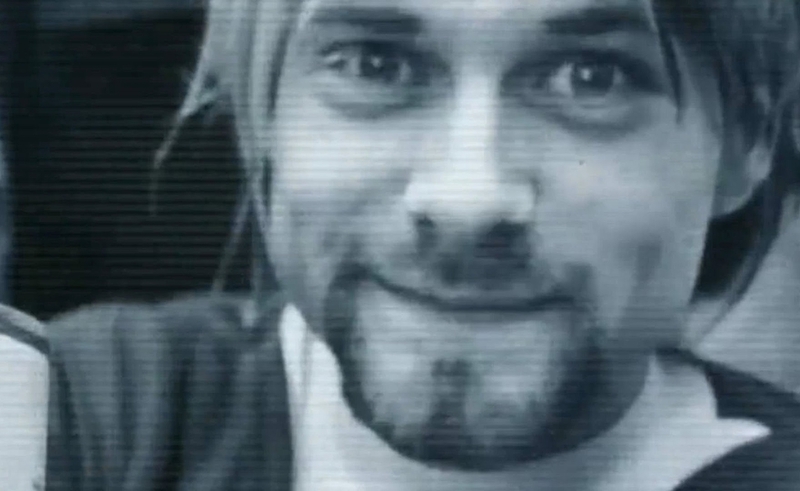 Brett Morgen’s Montage Of Heck isn’t the only semi-experimental Kurt Cobain documentary on the circuit right now. Benjamin Statler’s Soaked In Bleach is an inquiry into the circumstances surrounding the Nirvana frontman’s death, and takes a form that’s not strictly documentary nor wholly docudrama. Soaked In Bleach rests uneasily between the two, combining talking heads and archival footage with scripted reenactments that run so long that they keep threatening to become the movie. The big hook for Soaked In Bleach is that Statler has access to the audio files of private investigator Tom Grant, whom Courtney Love hired in the days between when Cobain went missing and when he was found dead. Grant meticulously documented every phase of the case, recording his interviews with Love, cops, and others. Statler frequently begins scenes by playing Grant’s tapes, then shifting to actors—including Daniel Roebuck as Grant and Sarah Scott as Love—reciting the transcripts seemingly word-for-word, and sometimes even lip-synching along to the recordings. At every stage, the film asserts its own veracity, in ways that eventually start to seem like overkill. Soaked In Bleach’s contentions should be familiar to anyone with a passing knowledge of Cobain’s death, or anyone who’s seen Nick Broomfield’s documentary Kurt & Courtney. (Statler actually tackles one of Kurt & Courtney’s attempts to debunk Grant’s theory of the case.) The gist of Grant’s argument is that the Seattle police too quickly determined that Cobain took an overdose of heroin and then killed himself, and that they reached this conclusion by relying too much on the testimony of Love, who may have had reasons to want her husband dead. About half of Soaked In Bleach is devoted to telling Grant’s story: how Love found his number in the phone book, and how Grant (who knew nothing about Nirvana before taking the job) became convinced that his client was using him to help establish her alibi. The other half trots out a series of experts—on forensic pathology, crime-scene analysis, and Cobain himself—to explain why the Seattle PD’s official report doesn’t make sense. Soaked In Bleach’s formal tinkering is unusual enough to keep the movie fresh at first, especially with veteran character actor Roebuck playing Grant as a character, emphasizing his stubbornness and frustration (as opposed to just flatly reading lines from the old tapes). An actual full-length dramatic retelling of Grant’s investigation might’ve made compelling cinema, showing—rather than telling—how a scrupulous man stumbled into an assignment where he had to answer to an image-conscious truth-stretcher. Similarly, there are sections of Soaked In Bleach that suggest the provocative docu-essay that Statler could’ve made, indicting the way that the media and the authorities conspire to fix the “facts” of a crime and then make anyone with legitimate questions look like a crackpot. Ultimately, though, this all comes across as too tawdry. Soaked In Bleach dredges up the sordid details of a celebrity scandal, while presenting them as the righteous shaming of a sloppy police force—who in their haste to close a case may have inadvertently encouraged scores of young people to emulate their hero by committing suicide. That’s not a bad motivation for making a film. But after a while, Statler’s hodgepodge approach loses its novelty, and the documentary starts to seem like an overlong, overly strident segment of a true-crime cable TV infotainment series, right down to the dramatic backdrops behind the interviewees. There’s just not enough innovation or insight here to stretch a footnote to feature-length.